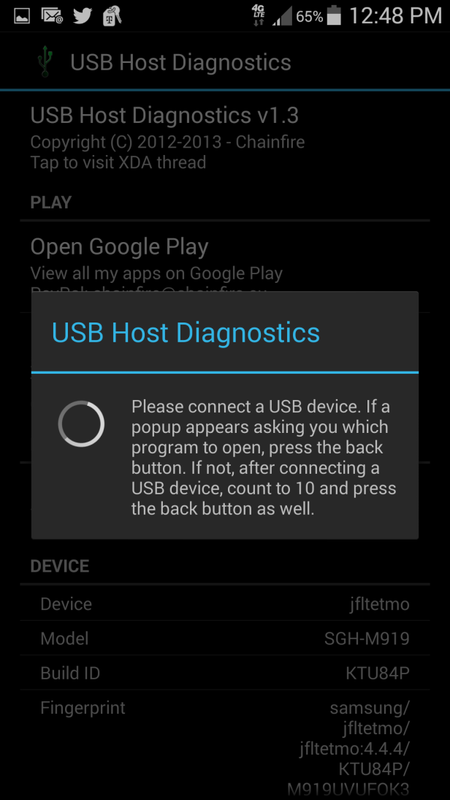 How to find out if your Android mobile device supports â€œUSB Host modeâ€, which is required for the Spider V Remote app to communicate with Spider V amplifiers. 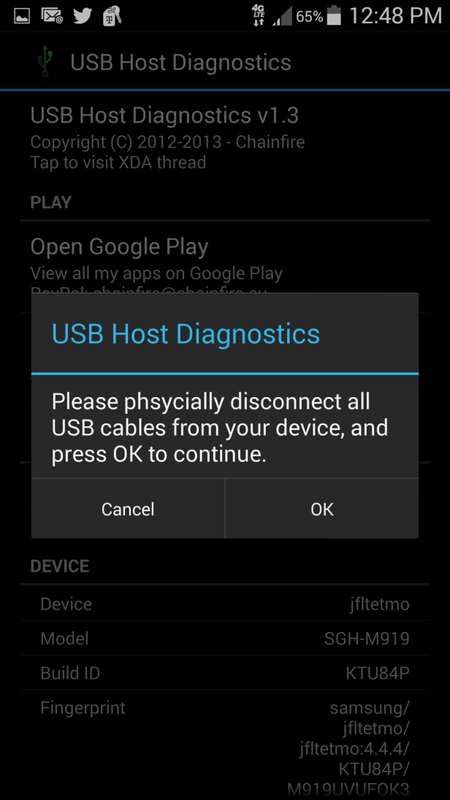 Some Android mobile devices do not fully support â€œUSB Host modeâ€, which is required for the Spider V Remote app to communicate with Spider V amplifiers. 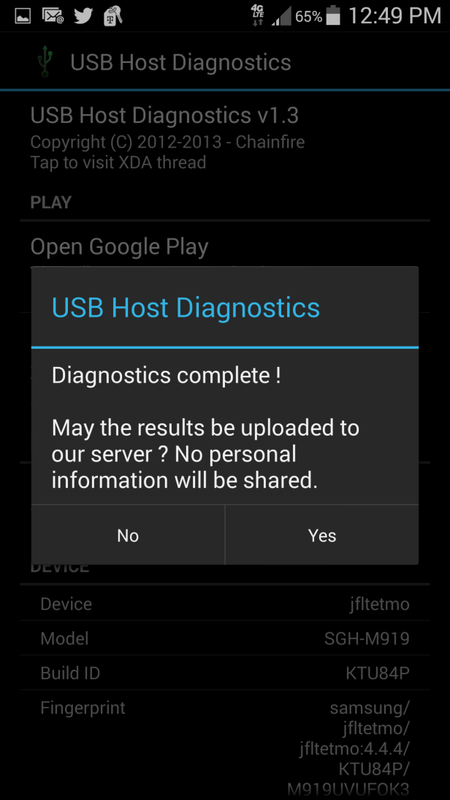 We have found that a free third party utility app called â€œUSB Host Diagnosticsâ€ reliably identifies potential issues with USB Host mode support. This tutorial will guide you through the process. 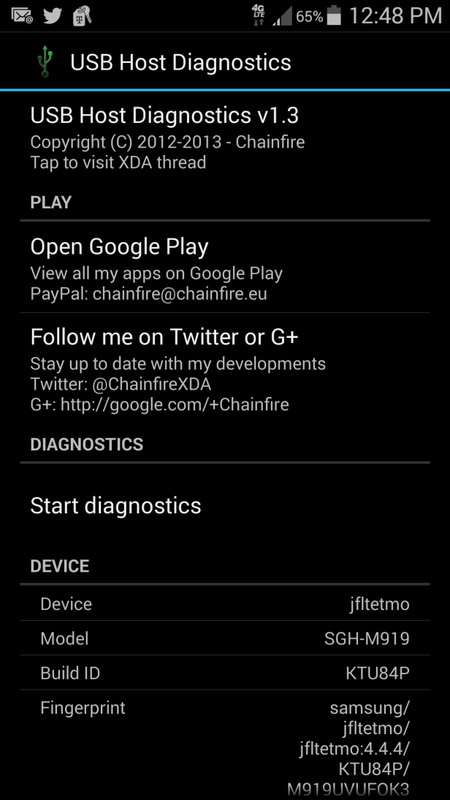 Locate the â€œStart diagnosticsâ€ text and tap it to start. The app will ask you to disconnect USB devices. Disconnect any USB devices and click the OK button. The diagnostic process will start and the app will ask you to connect a USB device such as a laptop or a USB thumb drive. After a few seconds the process completes and you will be asked to upload results. Uploading is appreciated, but not necessary. On the final screen you will be able to see the test results. Scroll down to locate the â€œVerdictâ€ section. In order for your Android device to work with Spider V, "OS" must report "Yes", and "3rd party apps" must report "Full".